Fashion experts say that the little black dress is an essential item for every woman. For men, the essential item is little black shoes that can go anywhere and do anything. We've got the perfect pair: Reebok Men's Black RB1100 Jorie Non Metallic Slip Resistant Wor ... (see full details) (see specifications) #RBKRB1100. Fashion experts say that the little black dress is an essential item for every woman. For men, the essential item is little black shoes that can go anywhere and do anything. We've got the perfect pair: Reebok Men's Black RB1100 Jorie Non Metallic Slip Resistant Work Shoes. This low-cut, all black footwear features an athletic oxford style in an attractive design. Crafted from easy care leather, the uppers are softly flexible to keep all your steps comfortable. But leather is also tough and weather-resistant, and ready for whatever your day might bring. Lightweight Taibrelle lining surrounds the inside of each shoe. The fabric in these non-metallic shoes is breathable to promote cooling comfort. It won't hold in heat, so you'll stay more comfortable. The insoles are constructed with lightweight EVA foam, with built-in underside heel pads, to soften steps and absorb shock. It’s all attached to the Sure Grip Plus outsoles. Manufactured with shock-resistant rubber, these soles are slip-resistant to give you grip even on dangerous flooring. Reebok Black RB1100 Jorie Non Metallic Slip Resistant Men's Shoes are 100% non-metallic, and totally security-friendly. When comfort and safety are essential to you, you need a pair of these premium shoes. If you liked the C1100, you will love the RB1100. These shoes are great. I am on my feet for over 8 hrs a day and with these shoes my feet do not hurt. I work in a restaurant and am constantly in water. These shoes are very slip resistant. Most of the shoes I have purchased in the past have only lasted a couple of months and then the sole starts separating. But not these they last me at least 8 months. And I like the fact that they are designed like a tennis shoe and not the typical shoe you find for chef wear. You get your moneys worth and then some. I highly recommend them. I should have heeded Christopher Light's advice in his review of these shoes. These shoes are not very slip resistant. I work in a restaurant and I find slip resistant shoes a must have item because of the slippery floors, spills and overall wet conditions found in restaurants. I bought these shoes hoping that they would be better made and offer similar slip resistance as the cheaper shoes available at Wal-Mart and other local retailers, but I am sorely disappointed. They are sturdy, well made and comfortable shoes, which is a good thing, but they are hardly slip resistant. Compared to the Tredsafe shoes sold by Wal-Mart they are well made and seemingly of higher quality, but their slip resistance is nowhere near as good as the Tredsafe shoes. The pattern of the sole looks very similar, but the compound of the rubber on the sole must be very different because on wet or greasy floors the slip resistance is nearly non existent. It is somewhat better than a normal sneaker type shoe but nowhere near as good as some slip resistant shoes I have worn in the past. If you need nice workshoes with a modicum of slip resistance, perhaps these shoes will fill the bill because they are nice, quality shoes. If you work in a restaurant or any other environment where slip resistant shoes are an absolute necessity do not get these shoes; there are better choices available. I used to wear SAS Guardian shoes, but they became too expensive to replace every three months, so I started looking for replacement brands. I tried the Keen Restaurant Manager shoes from this site and was very happy. I thought I would rotate brands so that my feet were not "over conditioned" to one particular shape and wear pattern (which is what happened to my feet with the SAS brand). Price really wasn't that big of a concern, but these were just terrible. My company offers us "free" non-skid shoes, but from a cheap vendor and that exactly what these felt like. Very light, no cushion in the sole, single layer upper and the soles are anything but "slip resistant", just look at the picture of the sole on this site, it's even smoother in person. Spend the extra $20 bucks and get the Keen brand...or order the Reebok's for $60. We will not buy any other shoes for my husband to work in this are the best work shoes. 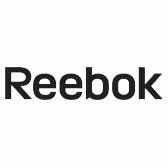 Reebok Shoes: Men's Black RB1100 Jorie Non Metallic Slip Resistant Work Shoes is being added to your cart.